Eggs benny is on the menu for breakfast and the waitress with the soft voice and Italian accent comes over to place the meal in front of me, along with a hot chocolate with two marshmallows on the side. “Enjoy,” she says with a hurried smile and a light inflection before rushing over to another table to place menus and a bottle of water in front of another group of people. Lazy alfresco dining isn’t reserved just for the weekends in Melbourne, even on this bright Wednesday there’s the buzz of a morning crowd down one of the city’s many busy laneways. We’re on Degraves Street and I have my boyfriend in tow, who’s never visited the city before. I consider it my personal mission to show off all the best bits in the little time we have: a mere 24 hours in the city before we make our way to the Great Ocean Road. There’s quite a lot to show off, too. For the fourth consecutive year the city of Melbourne has been named the most liveable city in the world, according to a report released by the Economist Intelligent Unit. Rating 140 cities and giving a score out of 100 in areas of healthcare, education, stability, culture and environment, and infrastructure, the unit announced Melbourne had again come out on top, receiving an overall score of 97.5 out of 100. While our 24-hour itinerary didn’t feature the likes of healthcare, stability or education, culture and infrastructure were definitely on the list. If you too have just 24 hours to spend in the world’s most liveable city, here’s what I’d suggest getting busy with. 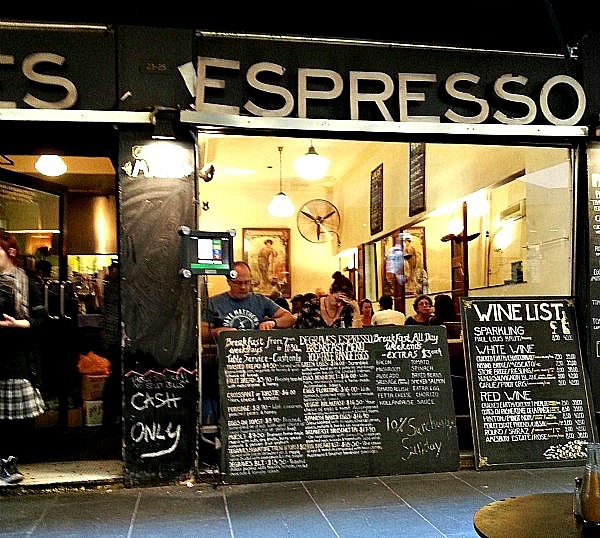 I found myself dining at Café Andiamo along Degraves Street on an early Wednesday morning. It’s the perfect place to people watch, drink hot coffee and, of course, eat. I’m not much of a coffee drinker, so I stirred my half-melted marshmallows into my hot chocolate and watched as people with enviable fashion sense sipped lattes at the beginning of their days. 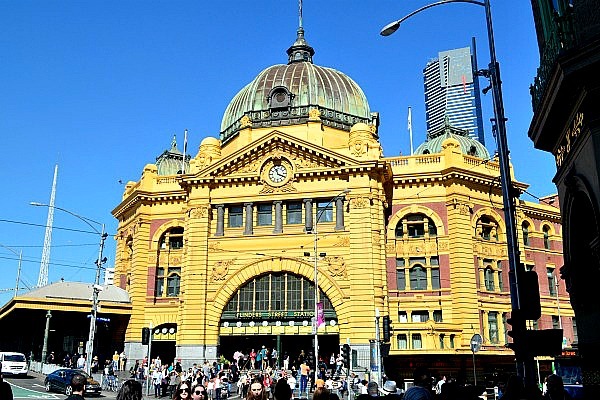 Towering over the corner of Flinders and Swanson Streets is the impressive facade of Flinders Street station. This railway station is the hub of the city of Melbourne and connects to the entire network across the metropolitan area. Here swarms of people meet, greet, roam and run to their near-missed trains. It can take a while to get your bearings in Melbourne, especially when you have a lot to see in a short amount of time. We jumped on the free hop-on, hop-off tram service which does a loop around the city. A recorded commentary is played on board the iconic green and yellow carriages and the conductors were helpful when I found myself going in the wrong direction, showing me exactly how to get to my next destination. My favourite street art laneways in Melbourne have got to be Hosier and Rutledge Lanes which are just across from Federation Square. I moseyed around this area for a good hour taking photos of some of the impressive artworks which brighten up these once forgotten areas of the city. It’s exciting to see the culture of street art embraced with these dedicated spaces. 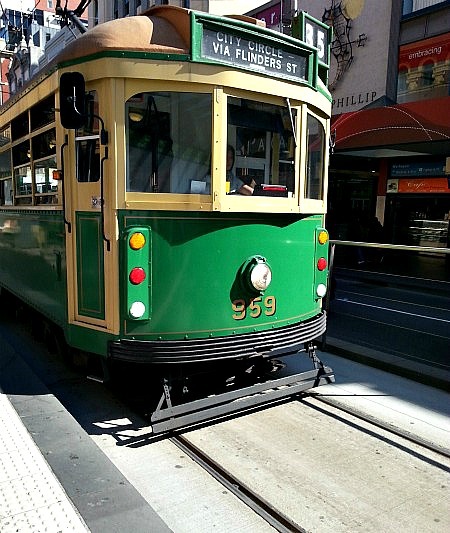 Remember the free tram loop? Jump off at Docklands, which is a suburb and shopping precinct in Melbourne, and you’ll find restaurants, shops and factory outlets. I wasn’t up for shopping but instead boarded the Melbourne Star Wheel. 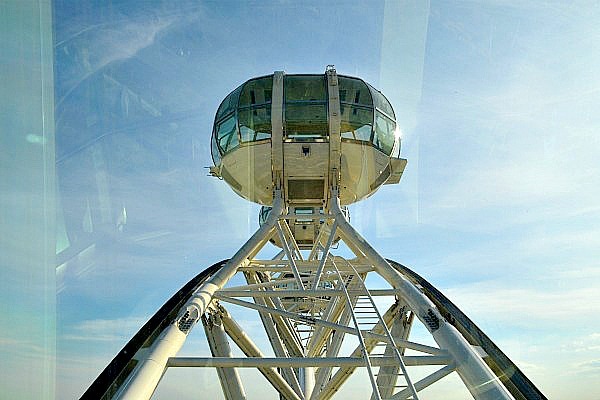 At 120 metres tall, it’s a great place to get a different, and much higher, perspective of the city. 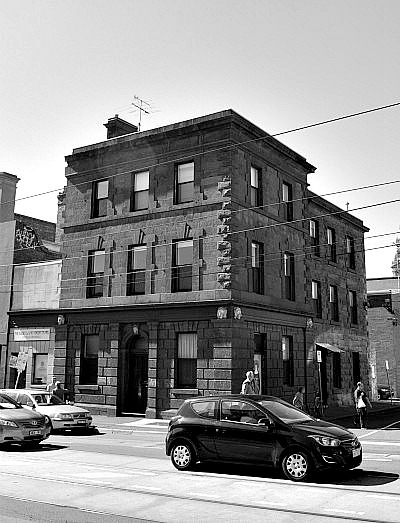 Fitzroy is one of the edgier and less gentrified parts of Melbourne. The buildings retain their classic facades which give the suburb a creative and artsy vibe. 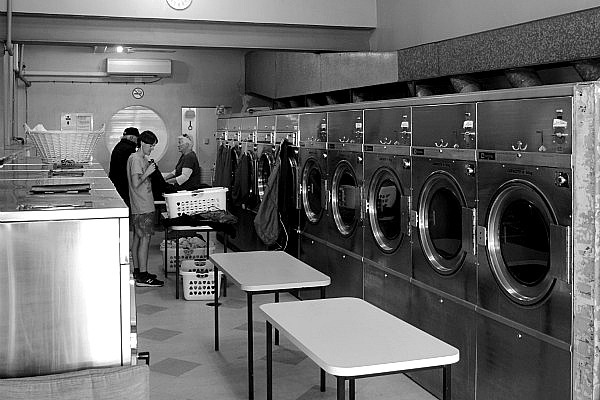 I wandered through the suburb and peeped into restaurants, cafes, galleries and a Laundromat. It’s the kind of place that makes you want to take black and white photographs. Once we were done hitting the pavement in the city, we went over to St Kilda and watched the sun set and the pink hues reflect over the water. St Kilda is known for its food, cafe culture and nightlife, but on a cool Wednesday night the area was still, and the perfect place the relax as our 24-hour itinerary drew to a close. 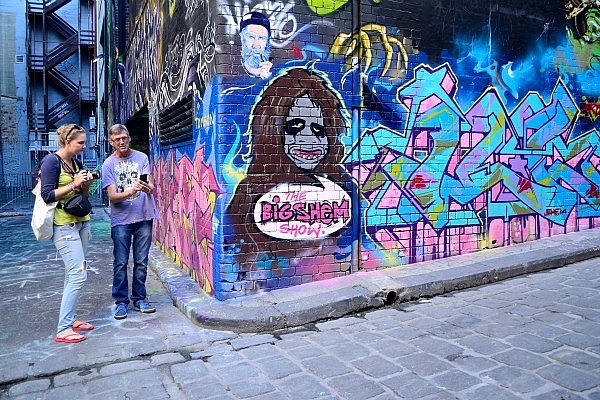 Before we decided to wrap up our day in Melbourne, we paid a visit to one of the most iconic places in the area. 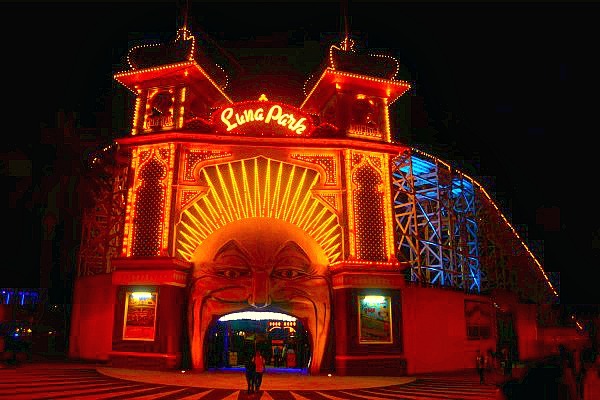 How can one visit St Kilda without going for a wander through Luna Park? You simply can’t. The admission is free and the amusement park is a strong part of the area’s history. Books in the gift shop show just how far the park has come since it’s opening in 1912. 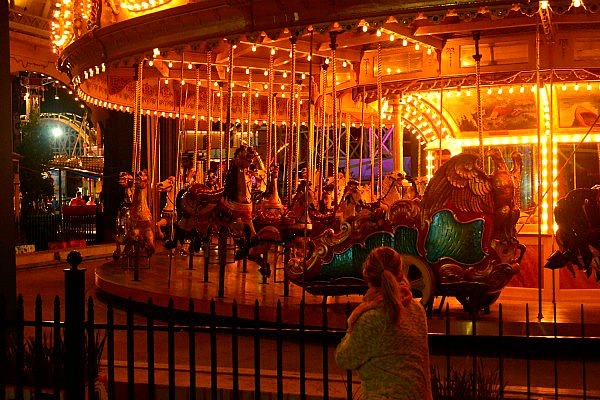 The Grand Carousel at the centre of the park was built in Pennsylvania in the U.S. in 1913 and was commissioned by an entrepreneur to appear in a Sydney theme park. It cost more than $14,000 and was sent to Melbourne’s Luna Park in 1923. There’s so much to do in Melbourne, so what would you add to the itinerary if you had just 24 hours to explore the city? What did I miss? PS Naked for Satan in Fitzroy street – BOOYA! Hey Prue! Thank you! It’s so easy taking good photos in Melbourne. The city knows how to work for the camera. I’ll have to visit Naked for Satan next time I’m there.